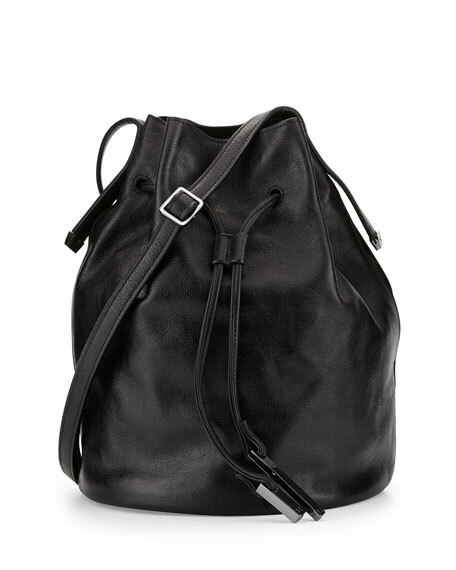 Spacious and sleekHalston Heritage spares no detail in making a bucket bag deep enough for everyday and chic enough for everyone. 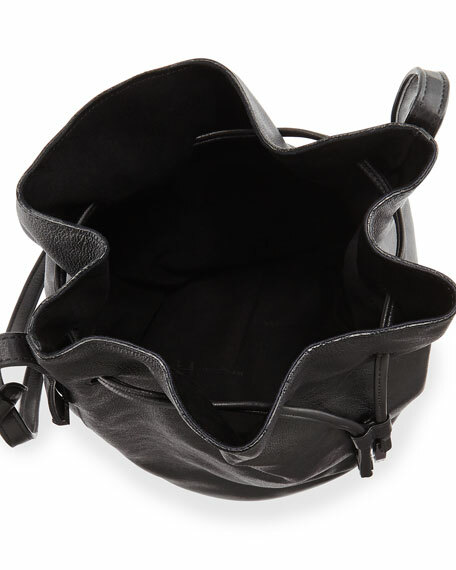 Halston Heritage leather bucket bag. 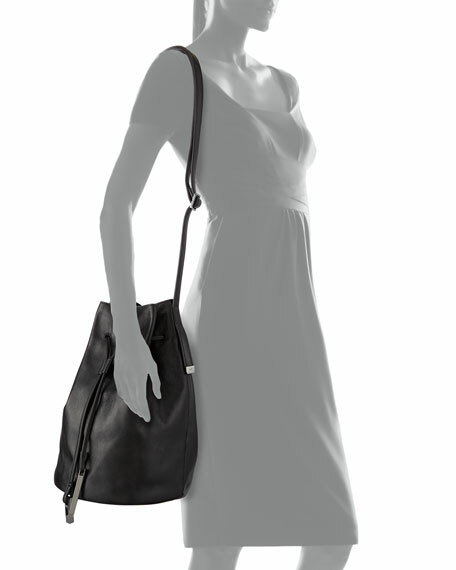 Shoulder strap; 15 1/2" drop. Leather drawstring opening; uneven gunmetal logo ends. Inside, canvas lining with card slot and zip pocket. 10"H x 12 1/2"W x 8"D; bag weighs 1 lb 12 oz.